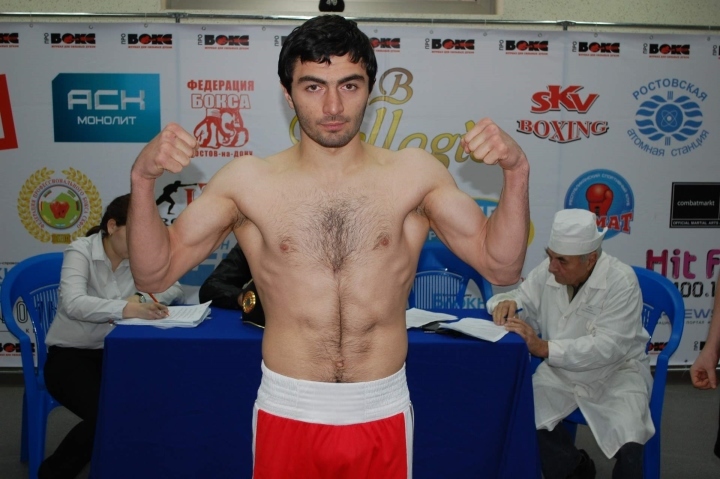 Ranked 3rd by both the IBF and the WBO, Isa Chaniev – 13-1-0 (6KOs) – presents a conceited boxer whose ego exceeds his abilities, having been through no battle, much less war. Chaniev is no elite fighter. At best, he is average, having only experienced skirmishes in the featherweight and superfeatherweight worlds in Russia, a good, mobile boxer, a la Hedi Slimani, a game Commey casualty on March 11, 2017 at Bukom, Accra, brandishing no amazing set of skills. On tape, the Russian displays good head movement, bouncing off his feet, switching stances from southpaw with leading rights to orthodox stance, staying competitive, a good counter puncher when under fire. Often, he stays effective with a stiff jab, combining good left-rights once he gets combative, often away from the middle of the ring. Perhaps, he has a pretty good reason for avoiding the middle of the ring. In his first lightweight fight, his only loss to date, Chaniev went down on one knee to a textbook left hook from compatriot Fedor Papazov – 19-2-0 (12KOs, then) in R2 of their May 25, 2017 pas de deux but survived to last the 12 rounds. 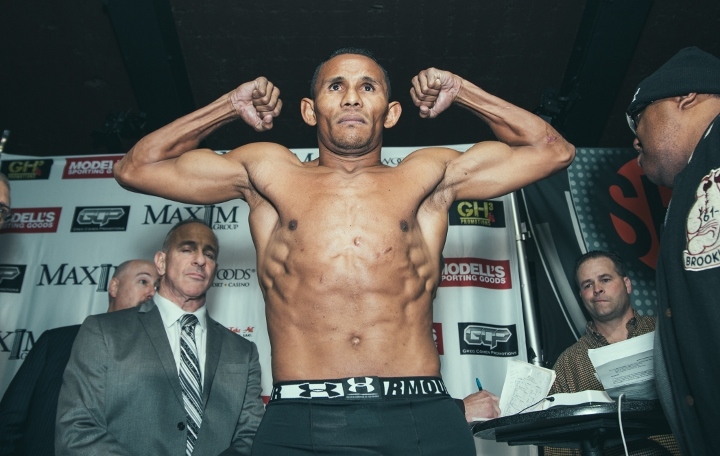 Again, against Venezuela’s Ismael Barroso – 20-2-2, (19 KOs) whom he decisioned on May 12, 2018 to be in reckoning to fight Commey, Chaniev climbed off the canvas, after getting decked by a solid left hand in the opening round, and a big counter left hook in R2, to post that victory. Could anyone blame him for not favouring trading in the middle of the ring where no ropes could serve as safe haven? Sometimes comical like Tyson Fury, Chaniev gets very shifty, effectively evasive but with no commitment to the body and no known ferocious power, what are his chances against the Ghanaian knockout artist – 27-2-0 (24 KOs) – especially explosive in his last two outings under Andre Rozier, the champion-trainer of the IBF middleweight king, Daniel Jacobs? “I have the biggest motivation ever to win, and there is no other result that will satisfy me,” quotes ESPN, of Chaniev, almost in defiance, mocking the tall order. “In February,” he predicts, “I will demonstrate all my skills and hard preparation. “Some people don’t think I will win, but they will be shocked on February 2. 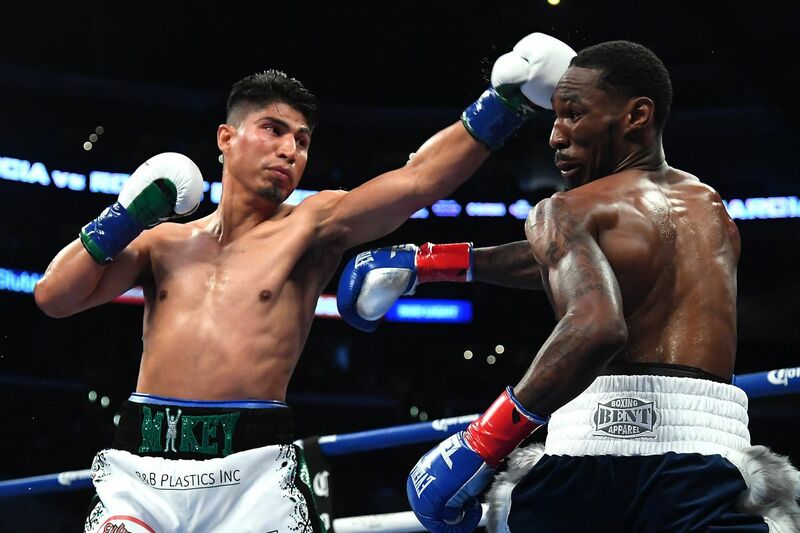 …, ” concludes the Russian braggart contending for the title vacated by American Mikey Garcia – given the danger posed by Commey – after decisioning Robert Easter, Jr, last July 28. Well, February will come. Right? Infact, Feb. 2 beckons. So, Chaniev, who has never fought the quality of opposition Commey’s faced, so far, will shock the world. Right? With which “all his skills”? Getting off the canvas? No outstanding amateur record, no known bloodline of world champions, no great desire to take the fight to credible opposition, no ferocity, no great combinations, no power-shots, no repertoire of excellent hooks or uppercuts. So, what’s the provenance of Chaniev’s boast? Pure bravado? Chaniev must have forgotten that even Mikey Garcia – 39-0-0 (30 KOs) – originating from a bloodline of world champions (Robert Garcia, Exhibit A; Danny Garcia, Exhibit B), trained by his father, veteran trainer, Eduardo Garcia through a myriad of opponents spanning four weight classes, featherweight (WBO), super featherweight (WBO), lightweight (WBC), super lightweight (WBC Diamond) and super lightweight (IBF), still did everything outside the ring to dodge getting in the same ring with the Commey, 27-2-0 (24 KOs). That should tell any serious person the clear and present danger presented by the Ghanaian brawler, wronged the past three years by ring officials, clout of opposing managers, promoters, and other pugilists, notably Robert Easter, Jr, and Mikey Garcia. 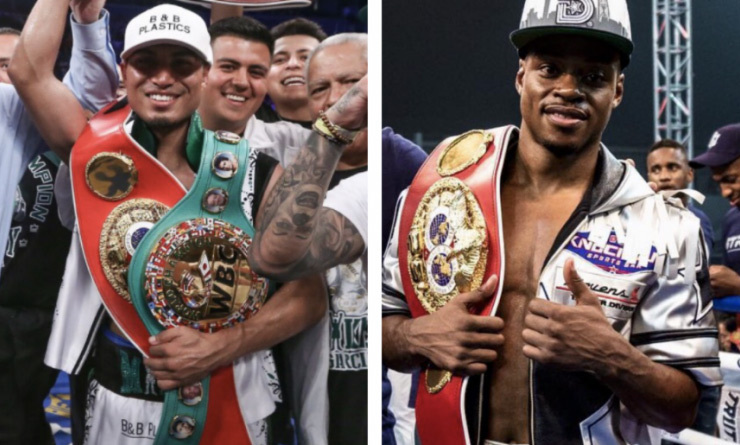 Garcia bolted citing a claim for greatness in vaulting two weight divisions to challenge the IBF welterweight champ, Errol Spence, Jr (24-0-0), touted as one of the best fighters in the world. Yea, we believe Garcia just as we believe Santa is real! Tell that to the kindergarteners!! 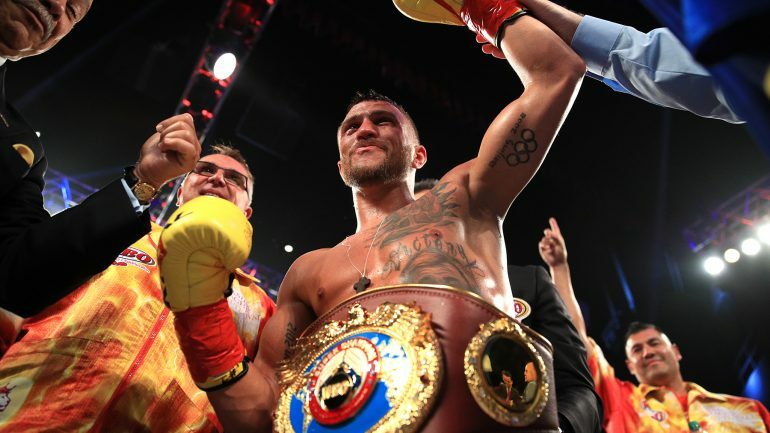 We believe him so much we wonder how come, for greatness sake, he didn’t challenge the best fighter on the planet, the WBA/ WBO king, Vasyl Lomachenko -12-1-0 (9KOs) – who by the way, happens to be in the same division as him? 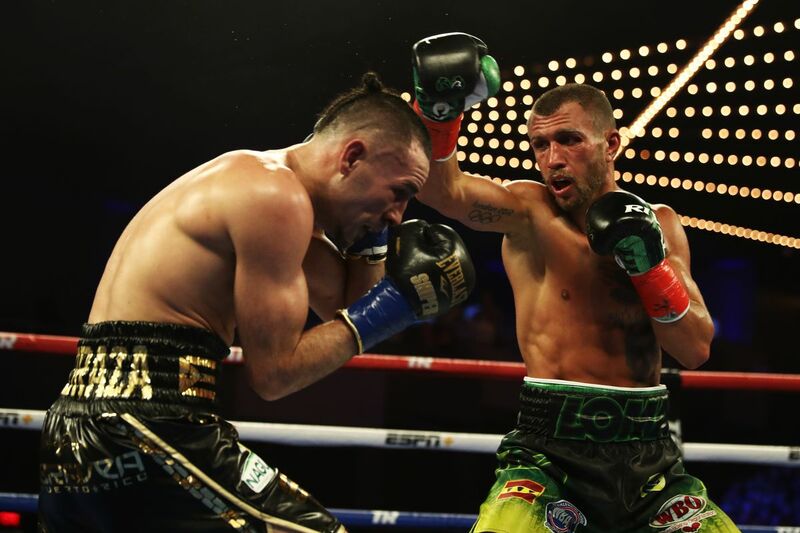 The great Loma (after wrapping up WBO featherweight, super featherweight titles) stepped up (the WBA super world lightweight title), survived a visit to the canvas, beat the count and kayoed Jorge Linares on May 12, 2018. 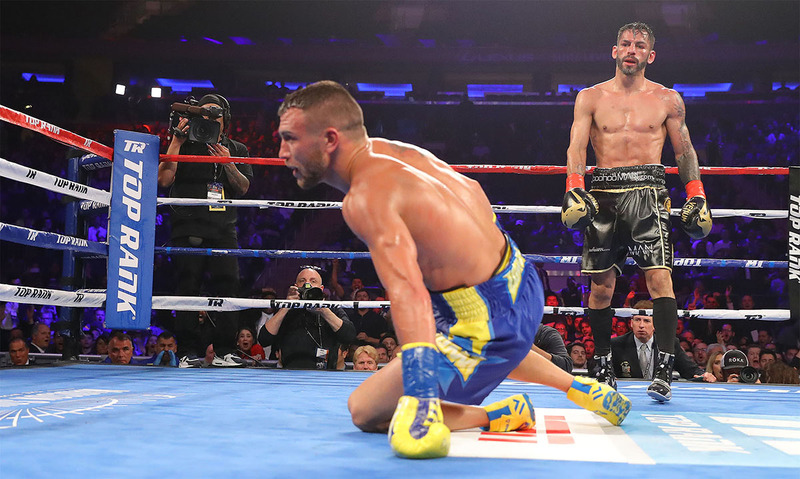 Then, after shoulder surgery following the Linares showdown, the Ukrainian topped it with a tough decision – his first – against Jose Pedraza, from whom he prised the WBO lightweight title on Dec. 8, 2018, earning the respect of world boxing experts as the best fighter on the planet! So, even in the same lightweight division, Garcia is NOT the undisputed champion. Infact, Loma outshines him, there, with two titles, the WBO and WBA super world titles. Again, instead of fighting Commey to prove he desired to match Loma with two titles apiece at lightweight, he took fright following the Ghanaian slugger’s R2 demolition of Yardley Cruz on August 4, 2018 in New York, and took flight from the already negotiated fight with Commey, failing the greatness test in that division. Rather, as a sign of his true greatness, Loma has already committed to an April 12 date to put his WBA and WBO lightweight titles on the line against the Andre Dozier ward, who would also put the IBF version on the line once he fulfils his delayed destiny by destroying Isa Chaniev on Feb. 2., in Frisco, Texas. So, Garcia’s claim of greatness – by ducking Commey and Loma? – is a complete hogwash by a complete coward! For, the greatest pound-for-pound fighter of all time, Sugar Ray Robinson, the iconic Mohammed Ali, Africa’s all-time best and HOF Azumah Nelson, Marvin Hagler, Thomas Hearns, Sugar Ray Leonard, to name a few, never ducked any fighters in their scheduled 15-rounders, unlike some of the 21st century 12-rounder champions! Therefore, deploying his armada in destroying Chaniev would be a real shot at greatness for Commey, besides exacting his pound of flesh for the Denis Shafikov-robbery on Dec. 2, 2016 in Moscow. That prize would require great sacrifice, totally focused on sacrificing Chaniev on the altar of the gods of boxing, at The Star, the training facility of the Dallas CowBoys in Frisco, on Feb. 2, the eve of the Super Bowl. Imagine the celebrations that would take place all around Frisco if the CowBoys made it to the SuperBowl, and beyond all expectations, they won! I bet Commey and his stable would join CowBoy Nation in celebrating their respective status as Champions of the w-o-r-l-d!!! Behold, greatness awaits Commey, who must not take the bait of complacency and the danger of underrating his opponent, a la his compatriot Isaac Dogboe who got nailed by – and lost his WBO bantam title to – Mexico’s Emmanuel Navarette on Dec. 8, 2018. 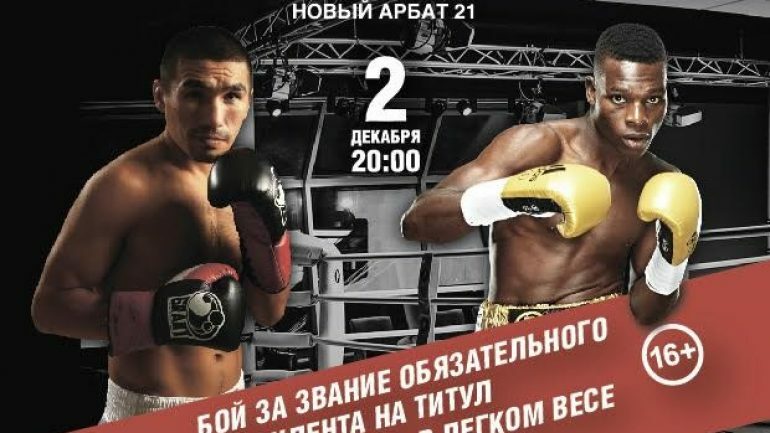 The New York-based Commey, would thus be forewarned not to belittle the 13-1-0 (6KOs) record of Chaniev; he only needs to remember Loma’s record stands at only 12-1-0 (9 KOs). The difference, though, is that all, except Loma’s debut, have been world title fights he’s won, all of which took place in the USA, whereas for Chaniev, this would be his first time fighting in the USA, his first time fighting outside Russia, and the first time he’s fighting for a world title, too many negative firsts, alltogether. 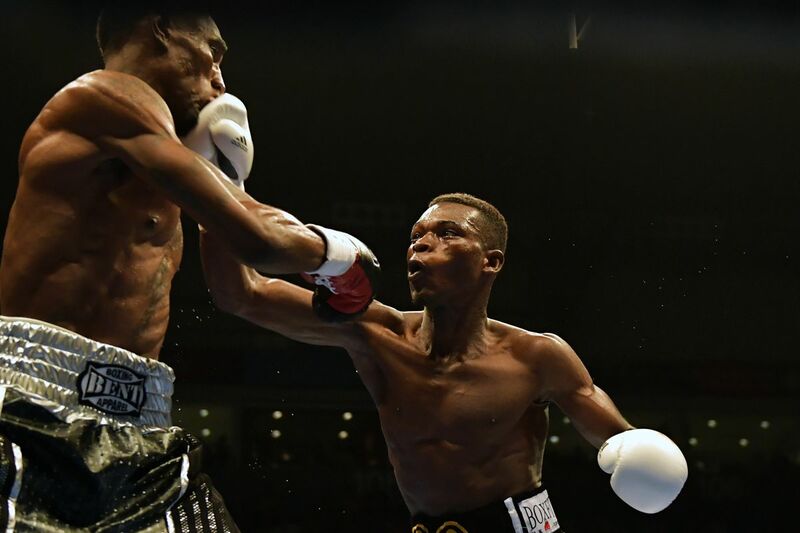 However, the New York-based Commey who has already fought in Texas, would be forearmed with knowledge that Chaniev has a weak chin betrayed in his two fights against Papazov – 19-2-0 (12KOs, then, at age 32) and Barroso – 20-2-2, (19 KOs, then at age 35). At 27-2-0 (24KOs) one month away from age 32 (similar age to Papazov’s, then), Commey’s greater knockout percentage, repertoire of great jabs, hooks, body shots, uppercuts, ferocious punching power and ringcraft tutored by Rozier, would be too much for the overmatched 26 year old Chaniev. Do the math, and you would come to the same conclusion: the new lightweight champion of the w-o-r-l-d, to start the new boxing year on a great note for himself, manager Amo Bediako and other Team Commey-ers, in preparation for the great Loma showdown, April 12. Truly, greatness beckons Richard Commey, beginning Feb 2, at the Ford Center, at The Star, the training facility of the great Dallas CowBoys.